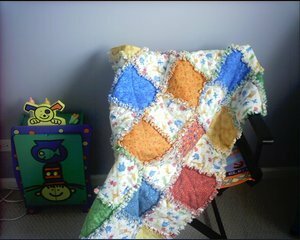 Aunt Sassy’s Quilts came about as my “need” to have more time to play with fabric! For me, quilting is a joy; a time to leave the work day behind and to immerse myself in color, texture, and design. How the name “Aunt Sassy” came about goes back 20 years ago. I was sitting at the kitchen table with my sister, 2 nephews, and 11 month old niece. Since Emmy was just starting to talk, my sister went around the table asking Emmy who each person was. First she named her older brother Dan or “Di-Di”, then Matt, who she called “Mat-ty”. When she came to me, there was a mischievous twinkle in her eyes when she proudly shouted out, “Sassy!” My sister nearly fell off her chair laughing. As anyone who knows me, Sassy describes me to a T. Since that fateful day, I’ve continued to be called Aunt Sassy by my niece. It is the only nickname I’ve ever had and one that I cherish. It seemed only appropriate to name the shop “Aunt Sassy’s Quilts” as Emmy and I continue our special bond through quilting. We started in the middle of Illinois corn country in the city of DeKalb, known for hybrid corn seed, the birth place of barbed wire, and home to Northern Illinois University. In March 2016, the store location moved to an 1100 square foot retail space in Geneva, Illinois. The building also houses Creative Sewing Center, a Babylock dealer. Our address is: 11 N. 1st Street.